to base by 5:00 PM and leave for hotel. such cases 100% refund will be made immediately. it will depend upon stamina and endurance of guests. .Transport from pick up point upto base and back. .Gear package including Kit bag max 5kg per person. .Services of a professional guide and trekking staff. Porters and 50Kg for Pack Animals. .Food Includes Break Fast, Lunch Pack, Tea. .All trekking fees and local permits. .Items of a personal nature such as phone calls etc. telephone calls, tips and gratuities. emergency evacuations, baggage loss or damage, etc). utilized for any reasons whatsoever. 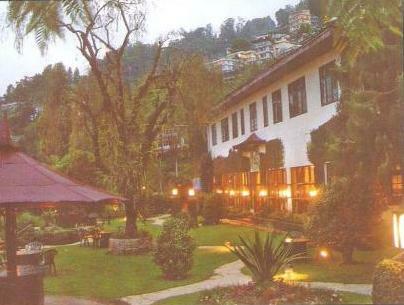 Sikkim Tourism Offices in Delhi, Kolkata and Siliguri. They are also available upon entry at Rangpo Check post. The company reserves the right to cancel any trek without assigning any reason whatsoever, however in such cases 100% refund will be made immediately. Guests with critical illnesses, children and elderly are advised to consult their doctor before undertaking any trekking activity. Completing the trek upto destination point is not a guarantee from our side; it will depend upon stamina and endurance of guests. Trek costs Include: >Transport from pick up point upto base and back >Gear package including Kit bag max 15kg per person. >Gear Package include kit bag, sleeping Bag, down jacket and insulated mat while trekking. >Trek tented camp with the services of our trek crew, camping equipment. >Services of a professional guide and trekking staff >Porters or Horse to carry all gear max 20Kg for Porters and 50Kg for Pack Animals. >Food Includes Break Fast, Lunch Pack, Tea >All First Aid >All trekking fees and local permits. >Items of a personal nature such as phone calls etc. >Personal expenses like, tea, beverages, alcoholic drinks, telephone calls, tips and gratuities >Medicare & insurance (Clients should have an all inclusive insurance policy that soul cover medical, emergency evacuations, baggage loss or damage, etc) >Additional services not mentioned above in the included clause Tips >Travel Incurrence >Please note, that costs quoted are as per the above package and there will be no refunds for services not utilized for any reasons whatsoever. Day1- ( Gangtok -Yuksom) Transfer to Yoksum by car. It is a 5-hour drive along some of the tea gardens and then up the mountainous roads to an altitude of 1770 meters. Check into lodge/camp. Rest of the day for familiarization and acclimatization. Overnight at the lodge/camp. Day2- (Yuksom-Bakhim): On second day of Dzongri or Goecha La Trek, after breakfast we start the trek (12 kms) to the small Tibetan settlement of Bakhim (2800 m). The trail passes through the forest of Rhododendrons, magnolias and Oaks. There are a number of suspension bridges and streams of crystal clear water. Hot lunch on the way . After the last bridge is crossed a comparatively steep climb of 45 mins brings us to the campsite for the day, Bakhim. Overnight in Bakhim. Day3- (Bakhim-Dzongri): Dzongri or Goecha La Trek continues. After breakfast trek (10 kms / 06 /07 hrs ) to Dzongri. (4000m). The track is through one of the most beautiful Rhododendron forest in the Himalayas. There are different varieties of Rhododendrons, ranging from the Rhododendron Grande to The rhododendron Nivale. The flora becomes sparse as one climbs higher up. Hot lunch on the way at Phedang. The climb after lunch takes us to Deorali top from where the mountains can be seen at a closer range . The trail from here is flat and a little descending till Dzongri. Overnight camp at Dzongri. Day4- (Dzongri-Thansing): On Day 4 of Dzongri or Goecha La Trek, we take an early morning walk to Dzongri Top to witness spectacular sunrise view over the Kangchendzonga Ranges. After breakfast trek (6 kms /03/ 04 hrs) to Thansing.(3746m). The trail descends down to the river and a gradual climb through the river bank and a mixed forest brings us to Thangsing. The peaks of Tinchingkhang and Jopuno tower right on top of this valley and Mt. Pandim appears straight ahead. Overnight camp at Thangsing. Day5- (Thangsing-SamitiLake):Dzongri or Goecha La Trek continues with an after breakfast trek (4 kms /04 hrs ) to Lake Samiti (4300m). The lake is considered Holy by both the Buddhists and Hindus alike and the pilgrims come here to pray and offer incenses to the guardian diety of sikkim, Kanchenjunga. Overnight camp at Lake Samiti. Day6- (SamitiLake-GoechaLa-Thangsing):On day 6 of Dzongri or Goecha La Trek, we take a very early morning excursion (07 / 08 hrs ) to The Pass - Goecha La ( 5000m ). The trail is through moraines and rocks and passes through the dried glacial lake of Zemathang and the Juniper medow of Nimashang. After spending sometime at the pass, head back to Samiti Lake where Hot lunch will be served before proceeding further down to Thangsing. Overnight at camp. Day7- (Thangsing-Choka):After breakfast , trek (14 kms / 6-7 hrs) back to Choka (3000 m). Hot lunch on the way. Overnight at camp. *Accommodation on full board basis. *All internal transport in Sikkim. *Gear package including Kit bag max 15kg per person. *Gear Package include kit bag, sleeping Bag, down jacket and insulated mat while trekking. *Trek = tented camp with the services of our trek crew, camping equipment. 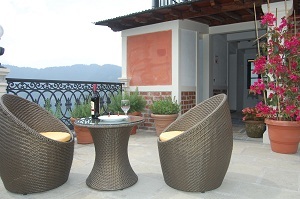 *Services of a professional guide and trekking staff. *Porters Dzo or Horse to carry all gear max 20Kg for Porters and 50Kg for Pack Animals. *Food Includes 1-Bed Tea. 2-Break Fast.3-Lunch Both Pack and Hot Lunch.4-Tea and Snacks.5-Soup, Dinner and Deserts every Day during the Trek and at Lachen / Lachung. We serve Indian, Chinese, Continental and sikkimese dishes. *All First Aid and High Altitude Medicine For the trek. *All trekking fees and local permits. *Items of a personal nature such as phone calls, laundry etc. *Personal expenses like, tea, beverages, alcoholic drinks, telephone calls, tips and gratuities. *Medicare & insurance (Clients should have an all inclusive insurance policy that soul cover medical, emergency evacuations, baggage loss or damage, etc). *Additional services not mentioned above in the included clause Tips. *Please note, that costs quoted are as per the above package and there will be no refunds for services not utilized for any reasons whatsoever. Day1- (Gangtok-Pemayangtse) Morning proceed by road Pemayangtse Monastery which in located at an altitude of 2080 meters, one of the oldest and most impressive gompas in Sikkim. Spend the day breathing the beautiful clear mountain air and exploring the town. Overnight at the hotel. Day2- (Pemayangtse-Uttarey) Morning proceed by jeep to Uttarey, a small village located at an altitude of 1960 meters near the Nepali border. Day3- (Uttarey-Chewabhanjang) Morning start trekking, a steady climb up as we trek towards the international border of Sikkim and Nepal. We follow a good trail, heading through dense rhododendron forest towards Chewachanjang. A moderately tough five-hour walk, one reaches an altitude of 3200 meters. Set up camp for the night. Rest of the day free for relaxation. Overnight at the camp. Day4- (Chewabhanjang-Dhor) Morning continuing on the same route from Chewabhanjang towards Dhor, one climbs higher to an altitude of 3750 meters. A steep climb, this route is not for the fainthearted; but for the gutsy, this route is rewarding enough with spectacular views on both sides of the ridge. One crosses the Indo-Nepal border several times but the movements are limited to the top of the ridge due the rhododendron forest, as there is simply no way down on either side, so dense is the rhododendron forest! After a seven-hour walk along the ridge, one reaches Dhor at an altitude of 3750 meters where the camp is set up. Overnight at the camp. Day5- (Dhor-PahareyMegu) Further on the same trek route, the trekkers are further rewarded with even more spectacular views of the mountains ahead. Follow along the ridge on a path which once again switches between India and Nepal along the ridge with many short ascents and descents. After five hours of walking with altitudes reaching 3900 meters, one reaches Paharey Megu. Camp set up on open grazing meadows. Overnight at the camp at Paharey Megu. Day6- (PahareyMegu-Daphela Pass) Morning proceed towards Daphe la Pass in a steady climb on the west side of the ridge. The terrain becomes more open as we follow a wide valley, turning east, in the direction of a large waterfall. Camp just before Daphe la Pass by the holy lakes on the west side at an altitude of 4100 meters. Overnight at the camp. Day7- (Camp before Daphe Pass-Daphe Pass-Gomathang) Morning proceed on one of the most beautiful walks of the trek, as the trail crosses a high mountain pass at an altitude of 4450 meters offering spectacular views of the high mountains of Sikkim to the north including Kangchenjunga (8585 meters), Kabru (7317 meters) and Pandim (6691 meters). The trail initially follows an easy trail, which skirts the edge of two lakes surrounded by prayer flags and then a steep zigzag path that climbs to the pass. The walk down to the valley floor follows an easy trail across open slopes and then goes down through the pine and juniper forest to reach Gomathang at an altitude of 3750 meters where the camp is set up for the night. Total time walked is about five hours. Overnight at the camp. Day8- (Gomathang-Panding) Morning follow the trail leading through the rhododendron forests making it an easy day. After Yangshep, which is at an altitude of 3900 meters, we follow a steep path up to Panding of 4200 meters in approximately six hours. Set up camp at Panding. Rest of the day for relaxation. Overnight at the camp. Day9- (Panding-Dzongri) Continuing on the trail of the previous day, head towards the northeast, descending to a river we cross on a plank bridge. We then start the climb to Dzongri at an altitude of 4020 meters after a five-hour trek. Set up camp at Dzongri. Rest of the day for rest. Overnight at the camp. Day10- (Dzongri-Thanshing) Descend through rhododendron forest towards the glacial Prek River. It usually takes four hours. Establish the campsite on the grassy pastures of Thanshing at an altitude of 3930 meters. The southern ridge of Kanchenjunga and the Onglakhing Glacier are visible directly ahead and there are close-up views of Pandim. The rest of the day for relaxation and relishing the views witnessed by so few. Overnight at the camp. Day11- (Thanshing-SamityLake) Proceed on a pleasant three-hour hike below the west side of Pandim through the dwarf azaleas and rhododendrons to Zemathang. Walk on the Onglakhing Glacier and climb up to the shores of the Samiti Lake at an altitude of 4200 meters and reputed to be the sacred source of the Prek River. Ringed by prayer flags, the lake reflects Forked Peak, Kabru North, Gocha Peak and other snow-capped peaks surrounding it. Set up camp on the shores of the Samiti Lake. Rest of the day for relaxation and enjoying the views of the surrounding areas. Overnight at the camp. Day12- (SamityLake-GoechalaPass-Thansing) Due to a long route to be covered today, start early morning as fog and clouds descend on to the pass shortly after sunrise. The track to the Goecha la Pass climbs steeply through the moraines to the altitude of 4940 meters after a walk of seven hours. From the pass, which is ringed with colourful prayer flags, we can see the mighty Kanchenjunga in all its glory, and beyond that, the Talung Glacier. Set up camp at Thanshing. Overnight at the camp for a well-deserved rest. Day13- (Thansing-LamPokhari) After a steep descent, the trail climbs through alpine areas and passes tiny lakes to reach Lam Pokhari after a five-hour trek. Lam Pokhari is at an altitude of 4230 meters. Set up camp and relish in the quiet surroundings of the lakes. Overnight at the camp. Day14- (LamPokhari-KasturilaPass-KasturiOdar) A steep ascent leads to the Kasturi la Pass which is crossed at an altitude of 4500 meters from where the descent begins through a luxuriant tropical forest. A beautiful six-hour walk brings one to the 3500-meter-high Kasturi Odar where the camp is set up. Overnight at the camp. Day15- (KasturiOdar-Labdang) The trail today takes one through the half light of the undergrowth, through a dense forest, where lianas tangle and moss and orchids hide tree trunks. The trail brings on to the 2000-meter Labdang after a six-hour walk. Setting up camp amidst the thick foliage here is an experience only a few have experienced. Overnight at the camp. Day16- (Labdang-Tashiding) A leisurely walk in an atmosphere becoming more humid and heavier as we approach the lower reaches towards Tashiding in five hours. Tashiding lies at a height of 1740 meters above mean sea level. Set up camp at Tashiding and relax. Overnight at the camp. Day17- (Tashiding-Martam) Morning visit Tashiding Monastery, which is one of the most isolated monasteries in Sikkim, perched on a hilltop and set between two rivers. Afternoon proceed towards Martam by car which takes about four hours. Walk around the town on arrival and relax. Proceed to Gangtok. Day1- GANGTOK- YUKSUM ( Alt 1760 M )Drive form Gangtok to Yuksum 112Kms Time taken 5hrs on the way visit Bonn Monastery near Ravangla. Overnight at hotel. Day2- YUKSUM – BAKHIM ( Alt 2750 M ) Trek from Yuksum to Bakhim 14kms time taken approx. 6 hrs. Trek begins with a low gradient until you cross Sachen and the third bridge , Walk through dense forest of pine and oak after crossing river PrekChu it is straight 70 degree uphill climb this is the toughest stage in the entire trek , It will last for 2 Hrs depends on the fitness of the clients Finally we will come to Bakhim this is just a resting point for the first day. This campsite has only one hut of forest department in the hilly dense forest.Overnight at Camp or tourist hut. Day3- BAKHIM – TSHOKA (Alt. 3050 M) Trek then we reach Bakhim the trail from Bakhim passes through magnolia and rhododendron trees the most tiring uphill climb. Tshoka is a small village housing about twelve thatched roof houses mainly Tibetan settlement .If weather remains clear we can see Mount Pandim, Aralunchong, Lama –Lamini,Pandim. Overnight in Tent or lodge. Day4- TSHOKA- DZONGRI ( Alt. 4020 M )Trek from Tshoka to Dzongri is still a steep climbing time taken approx 5hrs we go through dense forest of rhododendrons there’re over 400 flowering species , a place called Deorali Dara provides a magnificent view of mountains. Then we reach Phethang for a break .After Phethang still further climbing we reach Dzongri here the Vegetation is thin and we tend to find only small bushes and shrubs for the night stay here is a tourist hut Its usually overcrowded and noisy. In Dzongri early morning we take a walk to Dabla Khang(DzongriTop) the view from this place is magnificent one can view all the peaks .Acclimatization here is must for further ascending trekkers. Overnight in tent. Day5- DZONGRI: After early breakfast side walk to Laxmi Pokhari Doring and other interesting mountain walk almost whole day excursion. Overnight at Camp. Day6- DZONGRI –TSHOKA After breakfast we descend down, nice and easy walk back to Tshoka.Overnight at Camp. Day7- TSHOKA- YUKSUM: The trek from Tshoka to Yuksum takes about 6hrs it’s totally a descending trek.Overnight at hotel. Day8- Youksam Drive to – Gangtok. Day1- GANGTOK- YUKSUM ( Alt 1760 M ) 6 hrs Drive form Gangtok to Yuksum Time taken 6hrs on the way visit Bonn monastery near Ravangla. Overnight at hotel. Day2- YUKSUM – BAKHIM (Alt 2750M ) 5Hrs Trek from Yuksum to Bakhim 16 Kms time taken approx. 6 hrs. Walk through dense forest of pine and oak After crossing river PrekChu it is straight 70 degree uphill climb this is the toughest stage in the entire Trek then we reach Bakhim the trail from Bakhim passes through magnolia and rhododendron trees. Day3- BAKHIM -TSHOKA (Alt. 3050 M) 1 Hrs Bakhim to Tshoka is 2Kms it’s a straight uphill strenuous trek. Tshoka is a small village. Overnight in Tent or lodge. Day4- TSHOKA- DZONGRI ( Alt. 4020 M ) 4Hrs Trek from Tshoka to Dzongri is still a steep climbing time taken approx 5hrs we go through dense forest of rhododendrons there are over 400 flowering species , a place called Deorali Dara provides a magnificent view of mountains, Then we reach Phethang for a break .After Phethang still further climbing we reach Dzongri here the Vegetation is thin and we tend to find only small bushes and shrubs for the night stay here is a tourist hut Its usually overcrowded and noisy. In Dzongri early morning we take a walk to Dabla Khang (DzongriTop) the view from this place is magnificent one can view all the peaks. Acclimatization here is must for further ascending trekkers. Overnight in tent. Day5- DZONGRI- BIKBARI (Alt 4000M ) 4Hrs As you start the trek you start to Gingey Deorali it’s a slightly uphill climb and the trekkers has to cross the valley .From Gingey you can see Rathong , Kabru south, Kabru North, Frey Peak, Kokthang. If one is lucky you can find blue sheep grazing. Day6- BIKBARI –BASECAMP ( Alt 4600)- BIKBARI 6 Hrs After breakfast start the trek with steady uphill climb to base camp .This is one of the training camp for the climbers established by Nehru (Prime Minister of India).One can visit East Rathong glacier. Day7- BIKBARI- TIGIPLA (Alt 3826 M) 6/7 Hrs.The trek will start with a flat table land after 2Hrs you have to descend downhill it is in the base of the hills. Day8- TIGIPLA – PANGDIN – TIGIPLA M 4/ 5 HrsThe trek will start with a straight walk and climb uphill climb before reaching you have to descend down 1Hrs .This was an excursion so you have to trek back to Tigipla. Day9- TIGIPLA – DZONGRI ( Alt 4020 ) 6 Hrs.After early breakfast the trekkers should start to trekking towards Dzongri in order to reach in time. Day10- DZONGRI – THANSING ( Alt. 3930 M )Trek from Dzongri to Thansing takes about approx 4hrs after walking through the bushes and hedges At first its walking in the plain table land after few hours we rapidly descend down the river Prek on the way one can view almost all the ranges above all Mt Pandin looks beautiful. In Thansing besides the govt. hut its all barren here is no civilization. Overnight in Tent. Day11- THANSING- LAMMUNAY ( Alt. 4250M ) 3 Hrs. Trek from Thansing to Lammunay takes about approx 3hrs its just a easy trek through thin vegetation.Overnight in tent. Day12- LAMMUNAY- GOECHALA( Alt 4940 )–LAMMUNAY 8 Hrs As the trek starts with uphill climb one reaches Samiti Lake is basically , in the base of mount pandin because of its close attachment With Mt Pandim here a small beautiful lake has emerged. When it gets snowed the lake with the mountain Provides a spectacular unforgettable viewTrek from Samiti to Goechala back to Samiti takes about approx 7 hrs, the trek starts with easy grading. We come across Zemathang (4752Mts ) which means ( sand- plain land) the trail goes through moraines before reaching goechala one can view green lake formed right below the path deep down the hill, finally one reaches the second viewpoint from here one can view southern phase of Kanchenzonga.to the north is Goecha La peak. Day13- LAMMUNAY– THANSING Lammunay to Thansing takes about 2 Hrs we have to camp here as the there is no place to pitch tent so we have to use this as a camp to explore Lampokhari. Day14- THANSING- LAMPOKHARI (Alt 3900 )- KOKCHORUNG 8 Hrs. After early breakfast we walk easy and straight walk then gradually climb uphill about half an hour one reaches lampokhari it is long and slightly bigger lake than Samiti with a spectacular view of Lama - lamini and Simvo, Narsing peak. After Having pack lunch trek downhill to Kokchorung. Day15- COKCHORUNG –TSHOKA 6 Hrs. Trek from Cokchoruing to tshoka takes about 5hrs it’s a gradual descend through thick forest it’s a long and Tiring walk this route joins the route of phethang to Dzongri trail. Overnight at tent. Day16- TSHOKA- YUKSUM 6 Hrs. The trek from Tshoka to Yuksum takes about 6hrs overnight at hotel, Trek Ends. The valley of Tholung in North-Sikkim is located below the beautiful Mt. Siniolchu (6888m) and Mt. Lamo Anden (5200m) in an area especially reserved for the indigenous Lepchas. The virtually uninhabited valley of Tholung is very sacred both to Lepchas and Bhutias of Sikkim. Its miniscule population consists of less that 50 lamas, yak herdsmen and small-scale farmers. The mixed forest in the lower valley is a haven for an amazing diversity of birds and plants. Thanks to the variations in altitude, the lack of vehicular traffic and human population Tholung valley’s wealth in biodiversity has become the best kept secret for birdwatchers and nature-lovers. Our journey takes us through lush forests along the River Ringpi Chu and up to Tholung monastery which is located beautifully surrounded by 108 waterfalls that cascade down from high above the mountain slopes that are doted with magnolia- and rhododendron trees. The longer tour takes us beyond the monastery to yak herdsmen’s territory and up to a crystal-clear alpine lake where we are face-to-face with the remote glacial worlds of the Sikkim Himalayas. Day1- Gangtok – Lachen (2728 m) To the valley of Lachen in North sikkim. Nunnery and way of life of the Lachenpas. 6 Hrs drive. Day2- Lachen – Tanggu (3920 m) – Lepcha Dorf Passing Dang (ca 1068 m) Entering the world of the Lepchas at Dzongu. Overnight in a modern Lepcha-house; simple accommodation. Day3- Passing Dang (1068) – Beh Dzongu (1650) Trekking (4 hrs.) 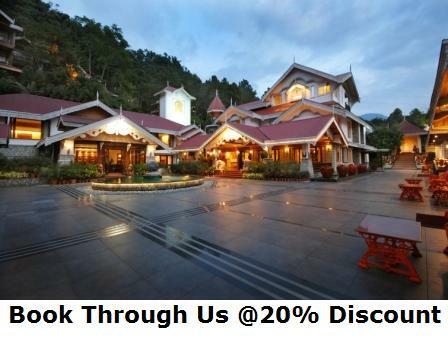 through Himalayan landscapes and bio diverse jungles. Day4- Beh Dzongu – Tholung (2550 m) Trekking (approx. 7 hrs.) through mystical mountain-forests, over streams and past waterfalls to the Buddhist monastery of Tholung. Overnight in simple wooden house or in double tents. Day5- Tholung. We hike to the spring of life. The spring-water that flows out from the middle of a mighty boulder is said to have properties for good health and long life.Overnight in simple wooden house or in double tents. Day6- Tholung – Passing Dang (ca. 1068 m) Day-trekking (approx. 6 hrs) back to the road. By jeep to the village of Passing Dang.Overnight in a simple home. Day7- Passing Dang – Lingtem (1268 m) We visit a typical Lepcha-bridge made entirely of bamboo as well as the village school and a traditional lepcha house (2 hrs. trekking). Overnight in simple wooden house or double tent. Day8- Lingtem – Passing Dang (1068) – Phodong. We leave Dzongu and stop on the way back in Phodong where we stay overnight in a traditional Bhutia-house. Day9- Phodong: We visit Phodong-monastery and take a walk (2 hrs.) to remote Bhutia-villages. Overnight as home stay in a Bhutia-house. Day1- Gangtok - Nambu (1600 m) Drive 6 Hrs. Day2- Nambu - Sang Khola (2000 m ) 4 Hrs. Day3- Sang Khola - Nayapatal (2500 m) 4 Hrs. Day4- Nayapatal - Yambomg (3735m) 5 Hrs. Day5- Yambong - Daphay Bhir - Gomathang (4735 m) 5 Hrs. Day6- Gomathang - Boktok (4070m ) 3 Hrs. Day7- Boktok – Nelpokhari - Boktok 6 Hrs. Day8- Boktok - Pangding (4210m) 4 Hrs. Day9- Pangdin - Bikbari 4 Hrs. Day10- Bikbari - Hmi Basecamp - Dzongri (4020 m) 5 Hrs. Day13- Yuksom – Gangtok. (5 Hrs Drive). Day1- Gangtok-Darjeeling ( 2134m )Drive From Darjeeling To Rimbik Time Taken 4 Hrs. (77km). Day2- Rimbik – Raman ( 2560m ) Trek From Rimbik To Raman Takes 9 Hrs. (25kms). Day3- Raman to Gorkhey Trek From Raman to Gorkhey Takes 4 Hrs. Day4- Gorkhey- Phalut ( 3600 M )Trek From Gorkhey To Phalut Takes 2 Hrs. Day5- Phalut – Sandakphu (3636m )Trek From Sandakphu To Phalut Takes 10 Hrs. Day6- Sandakphu- Gairibas ( 2621m )Trek From Sandakphu To Gairibas Takes 5 Hrs. Day7- Gairibas - Tonglu ( 3070m )Trek From Gairibas To Tonglu Takes 4 Hrs. Day8- Tonglu – Manabhanjyang ( 2313m )Trek From Manaybhanjyang Takes 5 Hrs.Manaybhanjyang – Darjeeling by Car. This new trek is ideal for nature lovers both young and old. We come across a wealth of alpine flora including blue poppy and a variety of rhododendrons. In this remote mountain region we can even see the rare blue sheep if we are lucky. We have breathtaking views of Karpola, Dongkhya, Lhako and Sengkamo to the east. Day1- Gangtok 1700m – Lachung 2600 m: 6 hrs Drive Scenic drive to North sikkim. Visit Phodong monastery on the way. In case of good weather great view of Kanchenjunga at Singhik. See Lachung monastery and take a stroll through Lachung village. Overnight in Hotel. Day2- Lachung 2600m – Youmthang 3600m 1hr by vehicle to the valley of Youmthang.Youmthang 3600m – Tsethang Good views of Sengkam peak. Overnight in double tents. Day3- Tsethang – Lhako Tso (Lake) – Lha-Bha Pass 4500 m – Lhathang 4050m Sidetrek to an alpine lake. Overnight in double tents. Day4- Lhathang 4050 – Caves Through untouched wilderness to the caves where we stay overnight in double tents. Day5- Caves – Tarum Tsachu Easy trek through rhododendron forest. Day6- Tarum Tsachu – Tarum Bridge Road – Lachen A short trek leads us to the road from where we journey on to Lachen by jeep. In Lachen we visit both the monastery and nunnery and make an excursion through hawthorn-forest to Tanggu, the last permanent settlement before Tibet. Return to Lachen and stay overnight in the Hotel. Day7- Lachen – Gangtok: 6 hrs. Yoksum-Dzongri Trek - Sikkim's most popular short trek to the Dzongri Ridge in the Kanchenjunga National Park. Trek through virgin Himalayan forests and experience the native culture of Sikkim. Climb Dzongri Top at sunrise to enjoy a spectacular close up view of Mt. Kanchenjunga and its surrounding snow capped peaks. Best Season: October to May. Maximum Camp Altitude: (Dzongri) 4000m/13,120ft. Maximum Altitude Reached:(Dzongri Top) 4200m/13,776ft.Trek Grade: Easy to Moderate. Day1- (Gangtok - Yoksum by car. It is a 5-6 hour drive along some of the tea gardens and then up the mountainous roads to an altitude of 1770 meters. Check into lodge/camp. Rest of the day for familiarization and acclimatization. Overnight at the lodge/camp. Day2- (Yuksom-Tshoka) Morning head out for a 12-kilometer trek through thick virgin forest climbing steadily to the Tibetan village at Tshoka. Set up camp or check into trekkers' hut/ lodge. Overnight in the camp/trekkers' hut/ lodge. Day3- (Tsoka-Dzongri) Morning climb through rhododendron forests to the meadows at Dzongri. Normal time taken is about three to four hours for the 12-kilometer-trek. Set up camp or check into trekkers' hut/ lodge. Overnight in the camp/trekkers' hut/ lodge. Day4- (Dzongri-Tshoka) Early morning take a small hike to the Dzongri Top for sunrise views over Mt. Kanchenjunga and the surrounding peaks. Afternoon return trek to Tshoka. Set up camp or check into trekkers' hut/ lodge. Overnight in the camp/trekkers' hut/ lodge. Day5- (TsokYuksom): Return to Yoksum through the same forest trail used to go up. Set up camp or check into trekkers' hut/ lodge. Overnight in the camp/trekkers' hut/ lodge. ensure that this pioneering trek will surpass your expectations. Mangan & Chungthang. Overnight at Gurudongmar Lodge at Lachen. Tallem and in the afternoon free for excursion in the area. scrubs of not more than a foot. Lunch at Camp. walking you reach the snout of the Zemu glacier. Lunch at Camp. In the afternoon free for excursion in the area. distant Mt Chomolhari in Bhutan. Yabuk (3978m) to Tallem (3468m) 4-5 Hours walk. Tallem (3468m) to Lachen (2728m) 3-4 hours walk. 1.Accommodation on full board basis. 2.All internal transport in Sikkim. 3.Gear package including Kit bag max 15kg per person. 5.Trek = tented camp with the services of our trek crew, camping equipment. 6.Services of a professional guide and trekking staff. Chinese, Continental and sikkimese dishes. 9.All First Aid and High Altitude Medicine For the trek. 11.All trekking fees and local permits. 1.Government Charges for climbing Peaks (applicable only if you climb a peak). 2.Items of a personal nature such as phone calls, laundry etc. 5.Additional services not mentioned above in the included clause Tips. will be no refunds for services not utilized for any reasons whatsoever. professionally trained guides, porters and staff. consult their doctor before undertaking any trekking activity. side; it will depend upon stamina and endurance of guests. Siliguri. They are also available upon entry at Rangpo Check post. Indian tourists also need to carry an identity proof document viz. The original inhabitants of Sikkim were the Lepchas, who were food gathering people speaking a language of uncertain origin. They worshipped the spirits of nature and mountain summits, and had an oral history. During the fifteenth century the first major migration of Tibetan and Bhutanese (Bhutia) people occurred. Then, towards the end of the nineteenth century, major migration from Nepal occurred leading to increased cultivation. The relatively easy to cross mountain passes between Sikkim and Tibet gave it great strategic significance during the period of British India, and in 1817 Sikkim became a protectorate of Britain, a responsibility assumed by India in 1947. During the period of the Sino-Indian border conflicts and the era of the ‘Cold War’, the passes closed and became major points of tension between India and China. Hence, both sides of the border became heavily militarised. In 1975 Sikkim became the 22nd State of India (the smallest except for Goa). Today, Sikkim is an integrated multicultural society, and India and China have given mutual recognition regarding the status of Sikkim and Tibet. The heavy military presence remains on the border; however, the Natu La, one of the main mountain passes between Sikkim and Tibet, is now open for limited local trade and may soon open for tourism. The strategically important high passes of Sikkim were the eastern gateway to the Tibetan plateau, and this was the route taken by Francis Younghusband on the historic ‘Lhasa Mission’ of 1904, and hence the route taken by all the early expeditions to the north side of Everest. South along the border from Kanchenjunga is Talung (7349m) and at least three 7000m summits in the Kabru group. In 1883 William Woodman Graham claimed an ascent of Kabru, but later this was dismissed and it was thought he was on some other mountain. Kabru North (7338m) was climbed in 1935 (C.R. Cooke and G. Schoberth) and Talung from its Nepal side in 1964 (F. Lindner and T Nindra). Kabru Dome (6600m) and the North and South summits of Kabru are classified as sacred. However, this has not prevented recent ascents by Indian and foreign groups (although it is not clear if the groups concerned had the permission of the authorities in Sikkim). Further south again is Rathong (6679m) and Koktang (6147m) which offer interesting opportunities for alpine-style first ascents (and which we explored in autumn 2006 and climbed some adjacent 5000m summits). According to the Alpine Club’s on-line Himalayan Index, Koktang has been climbed twice (via the SW face in 1982 and via the NE face and N ridge in 1991), and Ratong has had two ascents (in 1964 and 1987 via the West Ratong glacier and icefall). The steep mixed south face of Rathong looks interesting, but has some serac hazards, and the southeast ridge is a technical challenge we tried, but we ran out of weather and time. Koktang has a long corniced summit ridge and, according to the great chronicler of Himalayan ascents Harish Kapadia, “the true high point, lying at the northernmost end, remains to be climbed.” Having climbed quite a bit of new ground, we made some progress on the northwest-north ridge of Koktang, but deep cold snow and unstable cornices stopped us. This route would probably be a more reasonable undertaking in the pre-monsoon spring period. Near the snout of the Rathong glacier is the mountain base camp for the Himalayan Mountaineering Institute in Darjeeling. Groups from the HMI Darjeeling train on the glaciers and peaks thereabouts, including the technical Frey Peak (5830m) which has had numerous ascents with the aid of fixed ropes. This is one of the peaks designated by the Government of Sikkim as an Alpine Peak. In 2004 two Spanish climbers (Alain Anders and Garo Azuke) were active in this area and climbed two technical routes on peaks they referred to as Tieng Kg (c 6000m) and Phori (5837) (see p385, 2004 AAJ, Vol 46). Running parallel and to the east of the above peaks is the route of Sikkim’s most popular trek: a 5-day journey from the historic village of Yuksom to the Gocha La (Heaven’s Gate). As you ascend, you get excellent views of Kanchenjunga, and to your east a group of fine looking alpine-scale peaks. The first of real note is the technical looking Narsing (5825m) which is another sacred peak. However, just north of this is Lama Lamani (c5700m), Jopuno (5936m) and Tinchenkang (6010m); the latter two being Alpine Peaks, for which it is easy to obtain permission. In spring 2005 with Sagar Rai and Kunzang Bhutia (friends in the Sikkim Amateur Mountaineering Association) we made the first ascent of Lama Lamani, then made the 3rd ascent (and first alpine-style ascent) of Tinchenkang. Jopuno has apparently just had its 2nd ascent (Sam Gardner and team, spring 2008). These peaks offer good medium grade alpine ascents, and are destined to become classic climbs of the Eastern Himalaya. In West Sikkim, as in other areas in Sikkim, Indian mountaineers have been very active. Members of the Himalayan Club, instructors from the mountaineering institutes, and military groups have all made important climbs. Some ascents have been accurately documented in the Himalayan Journal and elsewhere, others less well recorded, and some not recorded for security reasons. If Sikkim ever has a definitive guidebook of climbs, it will have been the outcome of some very diligent research. North of Kanchenjunga is Jongsang (7459m) (first ascent by its north ridge in 1930 by G. O. Dyrenfurth’s international expedition to Kanchenjunga), which is at the junction of the borders between Nepal, Tibet and Sikkim. The Sikkim-Tibet border follows the watershed over high peaks and passes to Pauhunri (7125m) (first ascent in 1910 by Kellas) in Sikkim’s northeast corner. Just south of Pauhunri are two virgin 7000m summits, then a ridge of un-named 6000m summits. Further south again, the peaks become lower and lead to the historic passes of Natu La (between Gangtok and Yatung in Tibet) and Jelep La (between Kalimpong and Yatung). Permission to access the peaks and passes along the Sikkim-Tibet border has been extremely limited since the start of the Sino-Indian border conflict of 1962. However, you can pick almost any mountain along the Sikkim-Tibet border and find an interesting climbing objective. In September 2004, a strong team organised by the Indian Mountaineering Foundation (IMF) in New Delhi attempted the border peak of Chomoyummo (6829m). The leader was the highly respected and hugely experienced Dr P. M. Das, a vice president of the IMF. The attempt ended in tragedy when Das and four others were killed in an avalanche. At some stage no doubt, access to the peaks on the Sikkim-Tibet border will become easier, which could launch a new ‘golden age’ of first ascents and new routes in this part of the Himalayas. Meanwhile, just away from the border is a ring of peaks that are easier to access, and offer very interesting climbing potential from the valleys of Lachung and Lachen. During the 2nd World War British climbers were able to take leave in the region of Lachung and Lachen, and members of the Himalayan Club including Trevor Braham explored the area. It is a fascinating journey up from the steep forested slopes of the Lachung valley, to reach open plains typical of the Tibetan plateau around Yume Samdong, and then cross the Sebu La down into the open part of the Lachen valley, to then descend back south to steep valleys and forests. Such was the interest in making this journey that the Himalayan Club built huts either side of the Sebu La (both of which are now in ruins). After 1962, apart from military expeditions, this area was closed. Then in 1976 Harish Kapadia and Zerksis Boga obtained permission to do the Sebu La trek. Twenty years later in 1996, an expedition led by Doug Scott (including Lindsay Griffin, Julian Freeman-Attwood, Skip Novak, Mark Bowen, Paul Crowther, Michael Clark, Col Balwant Sandhu and Suman Dubery) obtained permission for Gurudongmar (6715m) and Chombu (6362m). Gurudongmar and the other peaks in the Kangchengo group have steep southern aspects; they are approached more easily from the north and have shorter ascents. While returning from the 1936 Everest expedition by crossing the Naku La, Shipton, Warren, Kempson and Wigram made the first ascent of Gurudongmar. However, having read their account, it seems more likely that the summit they reached was Gurudongmar West (6630m), which would make the first ascent of the main peak in 1980 (Assam Rifles led by Norbu Sherpa). A large part of Scott’s article ‘Exploration and Climbs in Northeast Sikkim’ (p53, Himalayan Journal, vol 53 1997) is about the difficulty, high cost, and uncertainty connected to obtaining permission for the peaks. The team members were enterprising in their explorations, in what was then a high security area, but somewhat thwarted by bad weather and heavy snow on their efforts to climb Gurudongmar and Chombu. As an indication of how things have changed since 1996, the expedition’s base camp at Yume Samgong (4624m) is now a very popular day trip by jeep from Lachung. While on a trip in October 2007, in one day during a public holiday, 93 tourist jeeps and 1 motorcycle had registered with the last police post to drive up to Yume Samgong (or ‘Zero Point’ as it is usually called locally). We first tried to visit North Sikkim in 2006 to attempt Gurudongmar (6715m), but we could not get all the necessary clearances. However, in the autumn of 2007, we got permission for Brumkhangshe (5635m), which is one of the two Alpine Peaks in North Sikkim (the other being Lama Wangden 5868m in the Lachen valley). With help from Sikkim Holidays in Gangtok and the Sikkim Amateur Mountaineering Association, we found the registration with police and army posts very straightforward, and the police and military personnel were very friendly and helpful. We situated our base camp by the road close to the police post at Shiv Mandir (marked at 3905m on the Swiss map of Sikkim Himalaya). We arrived in low cloud and rain, and hence it appeared a rather miserable spot. However, as the weather improved and the peaks and nearby cliffs revealed themselves things improved . The north ridge of Brumkhangshe turned out to be an easy and very good snow climb, which gave excellent views of many peaks of a similar altitude on both sides of the Lachen Valley. We explored the un-named glacier to the north of Brumkhangshe, which has a number of peaks around it (which are presumably unclimbed). We also took a close look at Chombu, but found the east face high in objective danger and the northern aspects under too much ‘interesting’ snow (the north ridge of Chombu could be a good route in the pre-monsoon season, and the west face offers an interesting challenge). There are many peaks around the Rula Kang glacier under Chombu’s east face. Instructors from the Sonam Gyatso Mountaineering Institute have apparently climbed Pheling c.5500m (easy snow climb), which is just south along the ridge from Chombu ‘East’ (5745m), which Doug Scott and team climbed in 1996 (crux of V with limited protection). Immediately east of Chombu’s northeast ridge is what we called ‘Eagle Peak’ (c.5540), which has a very good mixed southwest ridge and from the summit awesome views of the peaks in the Kangchengyao group. The future for mountaineering and climbing in Sikkim looks very promising.The State Government has made it easier for foreign visitors to get access to some interesting peaks that are away from the borders. Meanwhile, the border areas are becoming less sensitive, and hopefully in the future tourism and mountain recreation can resume. The tourism service providers in the capitol Gangtok are very friendly and reliable, and are being supported by the Ministry of Tourism and the Sikkim Amateur Mountaineering Association (SAMA). Together, they are expanding their capacity to provide services to international tourists and mountain recreationists, and at the same time promoting sustainable development in mountain regions. Hence, climbers and mountaineers in Sikkim are developing their skills and knowledge, helping with local guide training, and giving opportunities to young people in Sikkim to enjoy climbing and mountaineering. With limited resources, SAMA has been doing an excellent job. Any proposal for undertaking a mountaineering expedition in the Sikkim Himalaya must, in the first instance, be submitted to the Indian Mountaineering Foundation (IMF) at New Delhi, which is the apex body authorized by the Central Government to deal with all such cases. The application to the IMF must be made on the form as prescribed by IMF along with all the requisite supporting documents. The IMF will, thereafter, refer the proposal to the State Government and to the Ministry of Home Affairs and the Ministry of Defence in the Government of India. To summarise: The proposal to undertake mountaineering will have to be cleared by the following: (a) Indian Mountaineering Foundation, New Delhi (b) Ministry of Home Affairs, Govt. of India, New Delhi. (c) Ministry of Defence, Govt. of India, New Delhi. (d) State Government of Sikkim. Procedure for application: The applicant is required to apply to the IMF at New Delhi in the prescribed format with the requisite supporting documents at least three months prior to the date of actual commencement of the expedition. References to the State Government:Reference to the State Government will have to be made through the Indian Mountaineering Foundation and Proposals received directly will not be taken up for consideration. A centralized single window clearance system has been set up and all references to the State Government should be addressed to the Resident Commissioner of Sikkim, Sikkim House, 12 Panchheel Marg, Channakyapuri, New Delhi 110 021. (a) Foreigners (a) Rs.200/- per head for first 5 days. (b) Rs. 50/- per head for each additional day (c) Foreigners (students) 50% of above fees. (d) Local guide and porters, Rs. 5/- per head per day (e) Pack animals, Rs. 5/- per animal per day. Film making fees for KNP: (a) Feature film (per film) Rs. 50,000/- (foreigners) (b) Documentary film (per film) Rs.20,000/- (foreigners) Note: Film making fee is in addition to camera fee. Entry fees for Wildlife Sanctuaries (WLS): (a) Foreigners (a) Rs. 150/- per head for first 5 days, and Rs. 35/- per head for each addl. Day. (b) Foreigners (students) (a) Rs.50/- per head for first 5 days, and (b) Rs.15/-per head for each addl. Day. (c) Local guides and porters, Rs.5/- per head per day. (d) Pack animals, Rs. 5/- per animal per day. Film making fees for WLS: (a) Feature film (per film) Rs.25,000/- (foreigners) (b) Documentary film (per film) Rs.15,000/- (foreigners) Note: All fees are payable in rupees to the Resident Commissioner, Govt. of Sikkim, New Delhi who will issue valid receipts. Terms and conditions to be adhered to by expedition teams in the national parks and wildlife sanctuaries: (a) The teams shall ensure that the necessary clearances of Ministry of Home Affairs, Ministry of Defence and the State Government have been obtained. (b) Entry is restricted to holder of valid permits. (c) All team shall travel along permitted route only and no deviation will be allowed. (d) The team shall ensure carriage of sufficient quantity of kerosene oil and LPG for heating and cooking purpose and not use firewood.. (e) The team shall ensure proper disposal for garbage and also arrange to bring back non – biodegradable items with them. They must also refrain from pollution water with human and kitchen wastes. (f) The team shall not enter with weapons with can injure , harm or kill any wildlife or indulge in heating and poaching of animal or kindle fire or leave burning ember or destroy or remove any wildlife ,trees, herbs ,shrub ,sign-posts etc .within the area. Terms and conditions to be observed for all expeditions in Sikkim: (a) The teams should avail of all infrastructural facilities (boarding, lodging and transport) available with the Government of Sikkim throughout their expedition. (b) The teams should abstain from using fuel-wood and only LPG/ kerosene oil should be used for their cooking purposes. They should zealously avoid any environment damage/ pollution during their treks. (c) All expedition shall ensure that the garbage that they generate is removed by them and they shall undertake to abide by such terms and conditions as may be stipulated by the State Government for this purpose. Note: All mountaineering expeditions booked through registered travel agency located in Sikkim shall be eligible for a 20% rebate of the fees prescribed above. Expeditions sponsored by the Sonam Gyatso Mountaineering Institute at Gantok and the Himalayan Mountaineering Institute at Darjeeling shall also be given the same concession. Expedition Royalties The following royalties are levied for the expeditions. For foreign expedition teams: US$350 per team of upto four members. US$ 500 per team of upto eight members US$ 75 for every additional member. Some relaxation of permit rule area of Sikkim: With a view to promote tourism in Sikkim, restriction on the entry for foreigners into restricted area of Sikkim have been relaxed .foreigners can now visit Gangtok ,Rumtek Phodong, Pemayangtse and the Yuksum-Dzongri trekking route on the basis of restricted Area permits which can be obtained from any one of all Indian embassies abroad. After obtaining the restricted area permit, bonafide foreign tourists, individuals as well as groups, can visit Gantok, Rumtek, Phodong and Pemayangtse for a period of fifteen days. For visiting Pemayangtse, Dzongri, Changu and Yumathang valley the rules are slightly tight. Organized foreign tourist group consisting of not less than four persons, sponsored by recognized Indian travel agencies will be issued permits up to fifteen days for trekking in the Dzongri area of West Sikkim. Permits for visiting Dzongri will be issued only by the representatives of the Sikkim Government in New Delhi. The groups would be accompanied by a liaison officer provided by the Government of Sikkim. Similarly for visiting Changu lake and the Yumathang valley foreigners have to be in a group of four or more. Areas other than those mentioned above can also be visited, for which a special permit, which is relatively difficult toget, has to be obtained from the Ministry of Home Affairs, Govt. of India, New Delhi. Expedition Cost does not Include: >Government charges for climbing Peaks. (applicable only if you climb a peak) >Items of a personal nature such as phone calls, laundry etc. >Personal expenses like, tea, beverages, alcoholic drinks, telephone calls, tips and gratuities >Medicare & insurance (Clients should have an all inclusive insurance policy that soul cover medical, emergency evacuations, baggage loss or damage, etc) >Additional services not mentioned above in the included clause Tips >Travel Insurance >Please note, that costs quoted are as per the above package and there will be no refunds for services not utilized for any reasons whatsoever. Our Speciality: Best hygienic food, luxury tents, toilet tents with European toilet seats, separate kitchen and dining tents, professionally trained guides, porters and staff. Terms and conditions: The company reserves the right to cancel any trek without assigning any reason whatsoever, however in such cases 100% refund will be made immediately. Guests with critical illnesses, children and elderly are advised to consult their doctor before undertaking any trekking activity. Completing the trek upto destination point is not a guarantee from our side; it will depend upon stamina and endurance of guests. Government rules & regulations: Inner Line Permits (ILP) are required by foreign tourists to enter Sikkim. Permits are available at all Indian Consulates in the home countries and at Sikkim Tourism Offices in Delhi, Kolkata and Siliguri. They are also available upon entry at Rangpo Check post. Indian tourists also need to carry an identity proof document viz. Passport / Voter ID / Driving License / PAN Card / Govt. ID card etc. Restricted Area Permits (RAP) is required to by all tourists to enter certain border areas within Sikkim. These are available at Mangan and Gangtok. foreigners must obtain an Inner Line Permit (ILP) to visit Sikkim. Siliguri on the strength of an Indian Visa. Bagdogra to Gangtok (20 minutes). Kalimpong (4 Hrs), and with Bhutan, Phuntsholing (6 Hrs). than mild discomfort before getting acclimatized. a. Take plenty of rest. b. Refrain from physically exhausting activities. head when atop a pass. e. Take diamox against altitude sickness. by the company that covers for medical assistance, accidents or deaths. back prior to 1959 are prohibited & may be seized. monsoons, with rains at times continuing for days on ends. May - June and October - November. A Rainfall 325 cm. / Year.